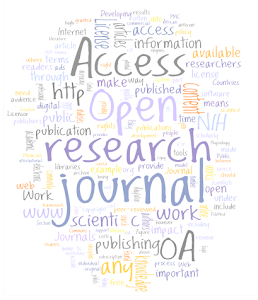 The open access movement is gaining momentum across the academic world, with some 1400 university-based repositories containing many thousands of journal articles, theses, monographs, book chapters and data sets. Last week, more than a hundred people took part in a discussion of the future of open access at the University of Salford led by Ghassan Aouad (PVC for Research and Innovation), Julie Berry (Associate Director for Library and Learning Services) and Alma Swan, an expert in open access who is associated with the University of Southampton. I’m keen for us to get to a position where all postgraduate students and researchers at Salford deposit their research publications in our own open repository. So why? I made the general case for open access to knowledge in a presentation to the Education in a Changing Environment conference earlier this month (see Keynote Addresses & Speeches at www.salford.ac.uk/vc for the transcript or view the video at http://www.ece.salford.ac.uk/vc_speech.php). In essence, there is a moral case because we are a public university supported by public funds, a theoretical reason because it is in the nature of knowledge to benefit in an exponential manner from dissemination, and a practical set of benefits, in that the academic world thrives on giving away our work in return for citations by others. Openly disseminated knowledge is good knowledge. In her presentation last week, Alma buttressed this general case with the hard results of research into the benefits of open repositories. 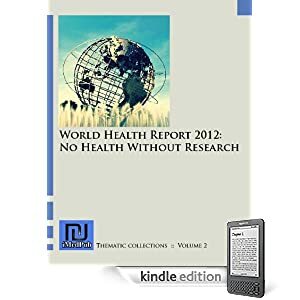 She told us that work by the World Health Organization shows that, in low income countries, fully 56% of research institutions currently have no current periodicals at all, because they can no longer afford the high and ever-increasing prices of commercial publishers’ subscriptions. This shows how closed access systems are preventing knowledge spreading to where it is often most needed. But the benefits of open access don’t stop with cost savings. Research now shows that research outputs placed in open repositories are significantly more likely to be cited, and will often result in significant increases in impact factors. Because the origins of open access requests can be summarized and analysed, researchers are able to get a good sense of who is interested in their work, allowing them to focus and strengthen research networks. And universities with open repositories find that they have many more web page links with other research institutions, strengthening research networks. Gaining wider recognition for our research benefits everyone in the university, and not just the research community. For staff in general, improved reputation and recognition brings many advantages. And students are linked to their university for life after graduating through their qualifications, and so they have a particular interest in the way our research continues to be acknowledged over the years to come. The University of Salford Open Repository is up and running at http://www.usir.salford.ac.uk/. Set up in 2007 it now has more than 2000 items. Expert advice on copyright is provided by Julie and her colleagues. I believe that, by putting research outputs in our repository, Salford researchers will be helping to get their own work better known, and will be contributing significantly to strengthening our reputation for high quality research work. I’ll be putting my own research outputs in the repository, and I hope that a lot of others will join me.